Did you know it was possible to shop your own closet? A lot of times we search outside and elsewhere. However, sometimes what you’re looking for is literally right in your home. This is often the case with many interior designers and home decorators. A lot of times you search for the perfect accent, gift and accessory in stores. The reality is that special, unique home decor accent you’re looking for is right in your home. It may be laying in your closet. It may be in your basement. It may even be hidden within another accessory. Instead of shopping for the perfect elegant home decor accent online or in stores, try searching in your house first. Here are 10, amazing artisan home decor tips for Fall decorating with recycled accents. Shop the hidden areas of your residence for unique, artisan home decor this season. 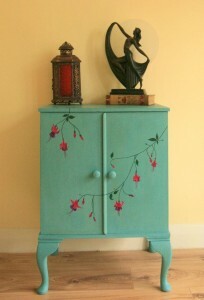 Gorgeous painted furniture accent. 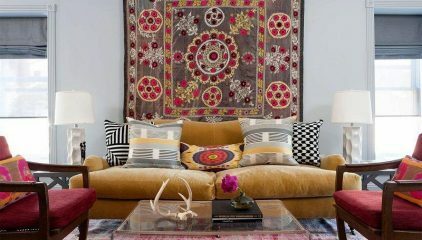 A great way to style for an artisan home decor theme while using the accents you already have. Use furniture accent for an ulterior purpose other than its more common one. Unique, stylish way to create an artistic, artisan home decor theme using recycled baskets. If you want to renovate for the Fall season with artisan home decor old baskets are a great choice. This home accent is a great choice for the Fall. It’s an easy accessory to style with. It’s an amazing diy choice. It’s perfect for saving time and money when designing. 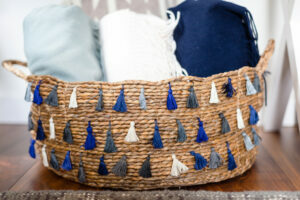 To style with recycled accents for a Fall, artisan home decor theme utilize old baskets. This can be an old wooden basket, a woven baskets or straw basket. It doesn’t matter the material. What really matters is your look, style and vision. If you’re going for the stand artisan style furniture look then spray painting your basket would be a good idea. If you’re going for the elegant home decor look then adding artificial flowers and ribbons around the basket would be a great idea. If you want to go for the contemporary, modern look then adding a cloth or fabric to the base of your basket would be an excellent idea. Either theme you decide to go with you’ll be transforming your home in a matter of minutes. Don’t throw your old clothes away. They too can be used to create a lovely, artisan home decor theme. 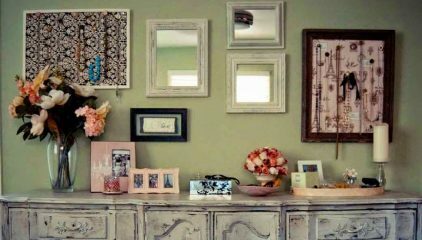 You’d be surprised at the countless ways old clothes can contribute to accessorizing home decor accents. For instance if you have an old shirt, especially a sweater that you no longer wear this is now a great design choice. Use your old sweater to create a handcrafted pillow case. You can also use your sweater or shirt to make a placemat, a fabric coaster, etc. You can even get extremely creative and use your old clothes as board. Instead of going for the traditional artisan home decor look and style with wooden boards, you can use fabric boarders. 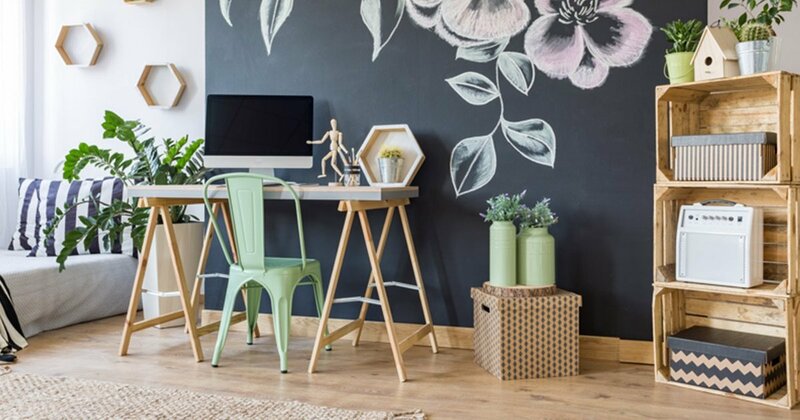 This is an unique, artistic way to spruce up your home without spending a dime. Use old jeans, shorts and more to create a fabric board picture frame or fabric board for your mantel. Have you ever been at a store such as Wayfair, or Pottery Barn and saw the many beautiful wall accents? Have you ever saw exquisite shaped wall plaques, decals and more? Have you ever thought to yourself I would love to have a wall accessories that gorgeous? Well now you can. Those old plates and bowls you no longer use can be recycled into a stunning wall decal. 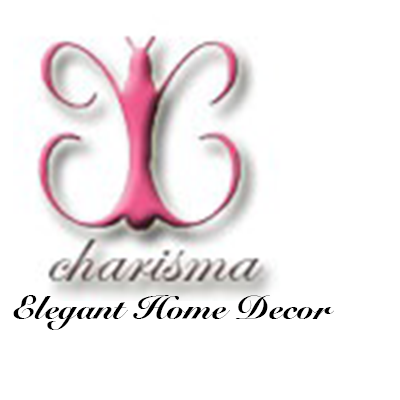 This will instantly give your home an elegant, fancy, polished look especially during the cozy Fall season. The great thing about this artisan home decor tip is that the plates will already be abstract in size. This way you don’t have to worry about carving or shaping the now wall accent to look exotic. The plates and bowls original size will give your walls all the exoticness and elegance it needs. This can be done on a smaller scale with just a few plates as fine wall art. This can also be done on the larger scale with an entire collection or collage of plates now being styled as luxurious wall art. Recycle plates and bowls to use them as gorgeous wall art for an elegant, artisan home decor theme. Don’t throw your cardboard boxes away. That’s right, even cardboard boxes can be used as an artisan home decor tip. Decorate 2 to 3 cardboard boxes by hand painting, spray painting or covering with cloth. The best way to give these recycled boxes an authentic, polished look is to stack them. Now that they’re renovated and designed it’s time to put them to use. Use these recycled cardboard boxes are a mini book shelf, storage bin, file organizer, etc. Just remember to storage light to medium weight items because you don’t want the boxes to collapse. Colorful, gorgeous idea for using DIY cardboard boxes as recycled home decor accent. 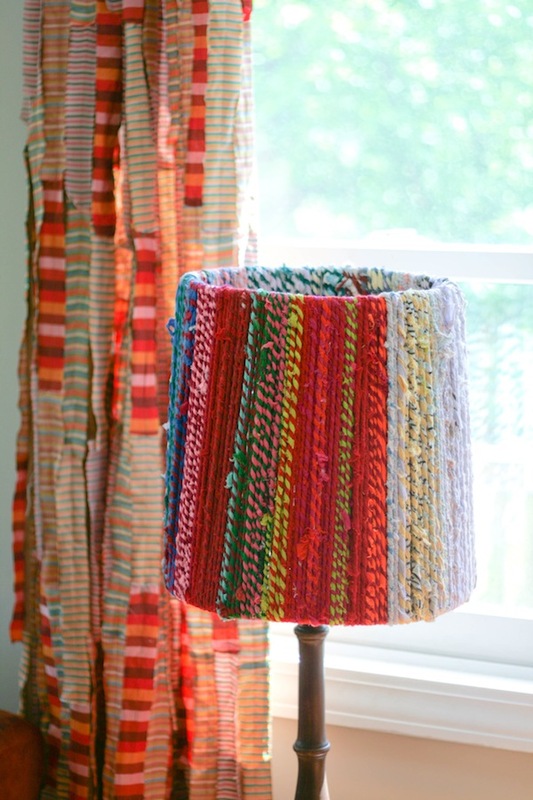 A beautiful artistic design lamp shade created with recycled home decor accessories. 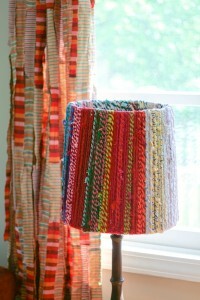 Using recycled home decor accents and objects to create lamp shades have been a favorite for years. Many arts and crafts and artisan home decor lovers are very familiar with this method. Transforming unique home decor accessories into lamp shades are common amongst the Etsy community, handcrafted home decor stylers and more. This should make this artisan home decor tip for the Fall very easy. Create your very own lamp shade with home accessories such as small pots, a ceramic bowl, old copper wire or use an old sweater. If you’re going to go with the sweater look for your lamp shade make sure you have the proper lamp harp and props to keep the sweater material from touching the light bulb directly (for safety measures; to prevent a fire). 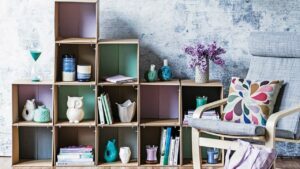 Restore your old magazine rack and make it your latest living room accessory. An impressive, easy way to style with artisan home decor accents is to grab a magazine rack you no longer use. You can use this magazine rack as a mini book shelf or cd rack. You can even go for an extremely elegant look and use your magazine rack as a mini photo shelf. The great thing about this decorating tip is the choice is up to you. There is no right or wrong answer. If you’re a home decorator who’s really into music and entertainment then recycling with the magazine rack would be perfect for you. If you have any salt shakers you no longer use don’t get rid of them. These small kitchen accents can be used to add style and elegance to your home. The best way to create an elegant, artisan home decor design is with clear salt shakers. This can be clear glass or plastic shakers. This makes whatever accent you decide to put in the shakers more visible. You may be wondering exactly what can go inside salt shakers due to them being petite in size. You can place a mini flower bouquet inside an old salt shaker. You can add colored sand, marbles or pebbles to your salt shakers as interior accents. The more salt shakers you have for this design the better. Once you have the shakers filled placed them on your favorite table, on your fireplace, etc. This recycled salt shaker design will blend right in with other home decor accents. 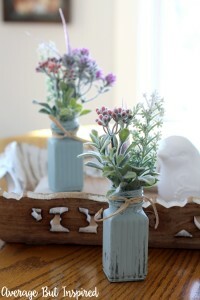 An elegant example of how to use salt shakers for various artisan home decor ideas. 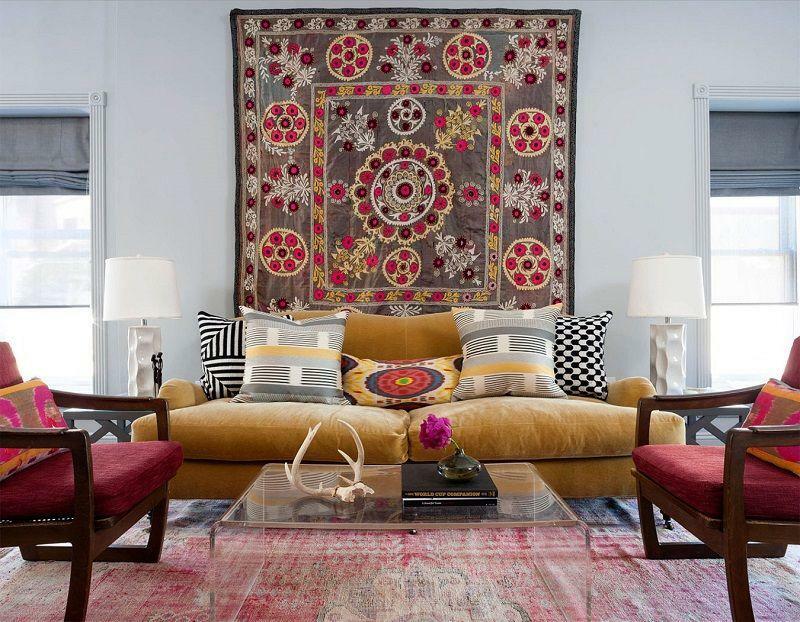 These 10 simple artisan home decor Fall tips will add intimacy and elegance in no time. 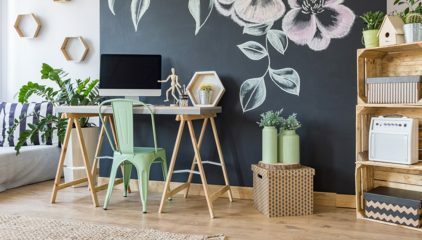 You won’t be able to believe your eyes when you see how you can style your home to look good as new without purchasing a single item.